Lindenwood University was one of four Missouri universities appearing in the Society of Actuaries’ (SOA) listing of Universities and Colleges with Actuarial Programs (UCAP). 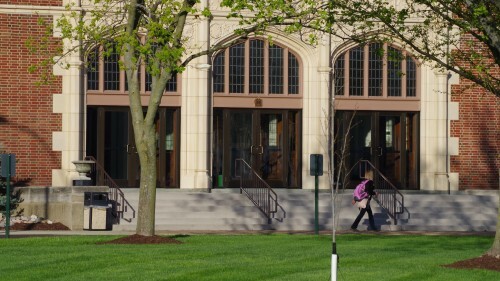 The SOA first announced Lindenwood’s inclusion in the list on Oct. 6. The UCAP list includes actuarial programs that maintain course coverage for at least two actuarial exams and have approved courses for at least one Validation by Educational Experience (VEE) topic. Edward Morris, Lindenwood professor of finance and former dean of the Plaster School of Business & Entrepreneurship, recently spoke about and signed copies of his new book Wall Streeters: The Creators and Corruptors of American Finance at events at Left Bank Books and Lindenwood University. 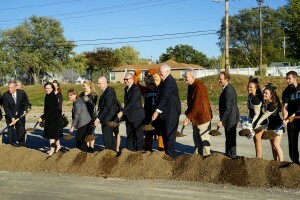 A number of Lindenwood University officials, including President Michael Shonrock, joined representatives from SSM Health and the City of St. Charles in a groundbreaking ceremony at the future site of the new St. Charles Post Office on Thursday afternoon, Oct. 29, culminating an effort approximately 10 years in the making. The Lindenwood University School of Humanities recently was awarded a $2,500 grant from the Missouri Humanities Council (MHC) to support an American Culture Speaker Series organized around the question “Why study American culture now?” The MHC is the only state-wide agency in Missouri devoted exclusively to humanities education for citizens of all ages. It has served as a state affiliate of the National Endowment for the Humanities since 1971. 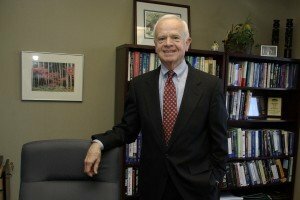 The Hammond Institute’s Liberty & Ethics Center at Lindenwood University will present on Nov. 2 a forum aimed at reforming Missouri’s criminal justice system. Fittingly titled Left, Right, & Center, the forum will include local and state government office holders from both sides of the political spectrum, police officials, and representatives from organizations like the ACLU, the NAACP, and the Charles Koch Foundation. The Lindenwood University Department of Dance will present its annual fall production on the main stage of the Lindenwood Theater in the J. Scheidegger Center for the Arts on Nov. 5-7 at 7:30 p.m. General admission is $10. The National Strength and Conditioning Association (NSCA) will hold its Midwest Regional Conference at Lindenwood University Nov. 13-14. T.C. Cummings, a motivational speaker and former Navy SEAL, will be the keynote speaker on Saturday, Nov. 14, and will speak about participants’ “mental game.” Don Melrose, PhD and CSCS, will host the conference at the Spellmann Campus Center. The Natalie Cole Concert, Holiday & Hits, scheduled for Dec. 12, has been cancelled due to a medical procedure and subsequent hospital stay by Cole. Starting Oct. 19, the J. Scheidegger Center’s box office staff will begin contacting ticket holders to arrange for refunds or exchanges as requested. Lindenwood University’s Theatre Department will present a production of Legally Blonde: The Musical at 7:30 p.m. on Oct. 29-31 in the Broadway-style Lindenwood Theater. 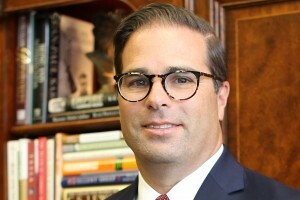 Lindenwood University System President Michael D. Shonrock removed the interim title Wednesday from Dr. Brett Barger and appointed Barger president of the Lindenwood University-Belleville campus. Barger had been serving as interim president since August 1.